Is there a way to convert daily values into weekly averages for charting? | etc ... each row has a different cadence. Except for, each row may not have values daily, but rather weekly or monthly, depending on the cadence. 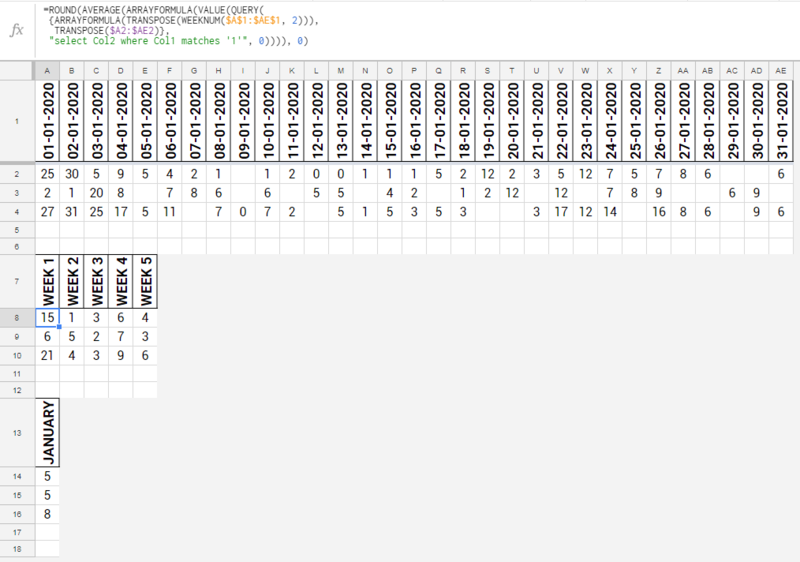 So I would like to use the query function to aggregate some rows as weeks, and some rows as the month. This way, I can create graphs showing the correct unit of measure (week, month, etc). How could I convert?